Keeper of all things SEKINE? 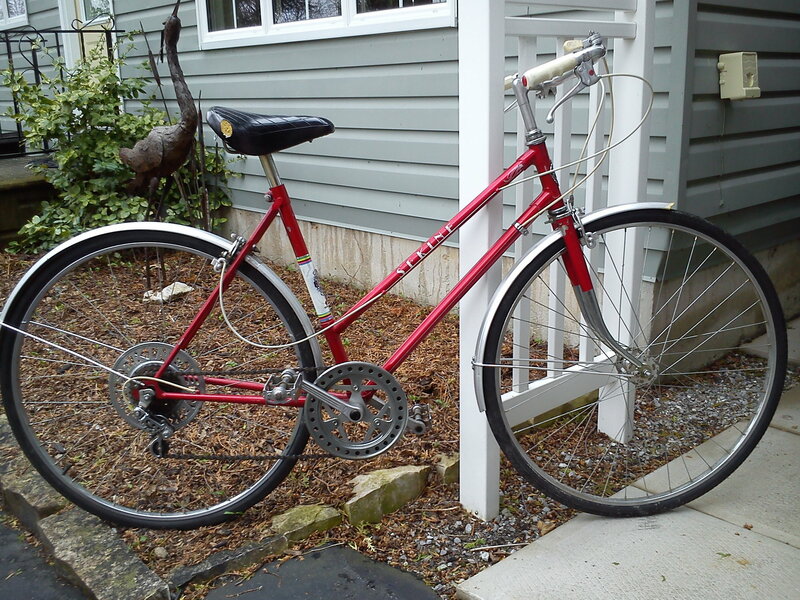 I wish I'd known more about these bikes when this one popped up on the local CL, labeled "Senike." I would have given it a second look instead of just giggling at the spoke protector. They're not common down here in California. @ Bike Fanatic: Those are great, neat seeing the production assembly setups. I hope we'll see the rest soon! Also, is there an email address I can reach you at? 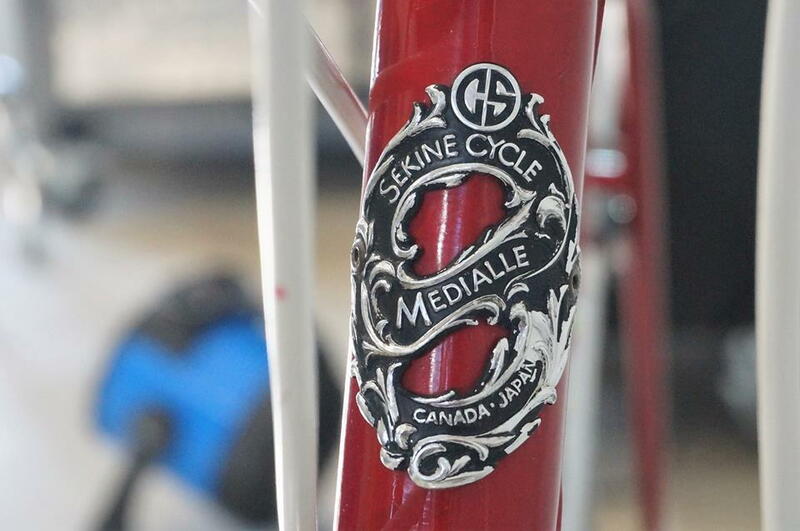 Another Canadian Sekine project has become available. A very special bike to the 80 yr old lady I bought it from. Solid, original and well kept it will refurbish nicely. The quality fit and finish stands out on this one. Shimano hubs SR stem crankset etc. 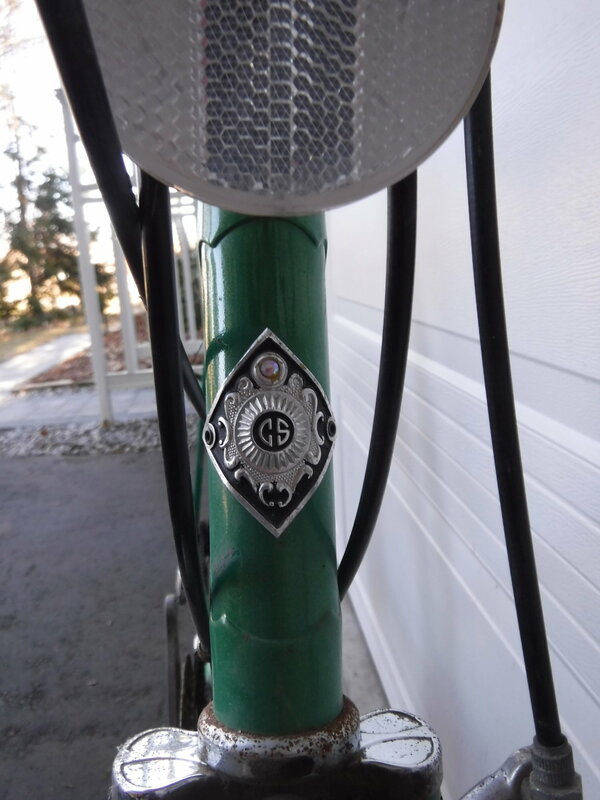 Alloy fenders and stays. She even offered my wife and I afternoon tea when we went to look at it. I will have to search for the model and year but I'm guessing 1974. 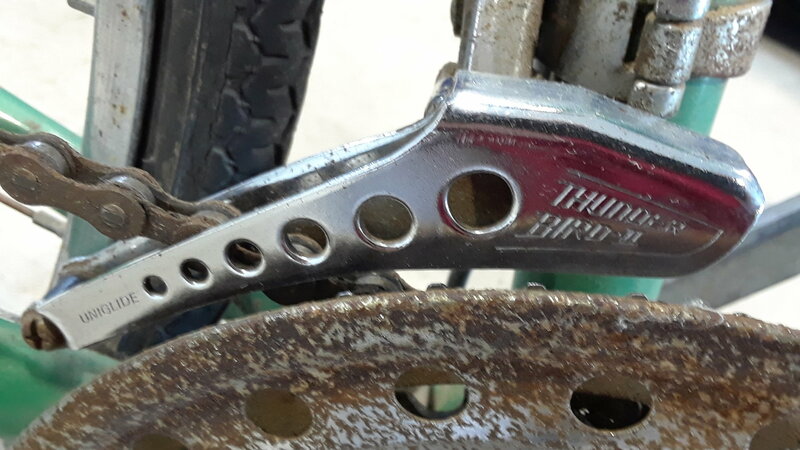 Chrome socks on fork, chrome rims alloy bars. 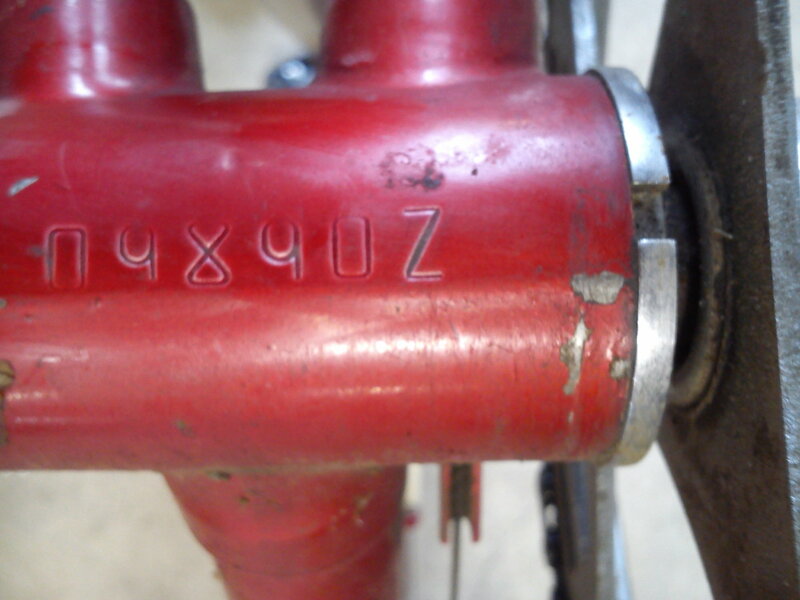 There's a difference of opinion on the interpretation of the Sekine serial number format. The frame was built in June of either 1974 or 1975. It isn't an exact match for anything in my 3 Sekine catalogues from the era. 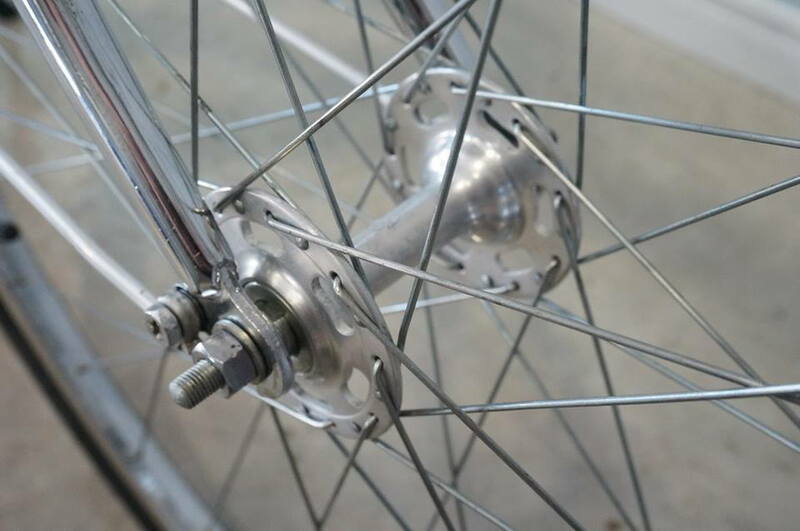 It most resembles an SHL 276, with the exception of having nutted hubs, as opposed to quick release. 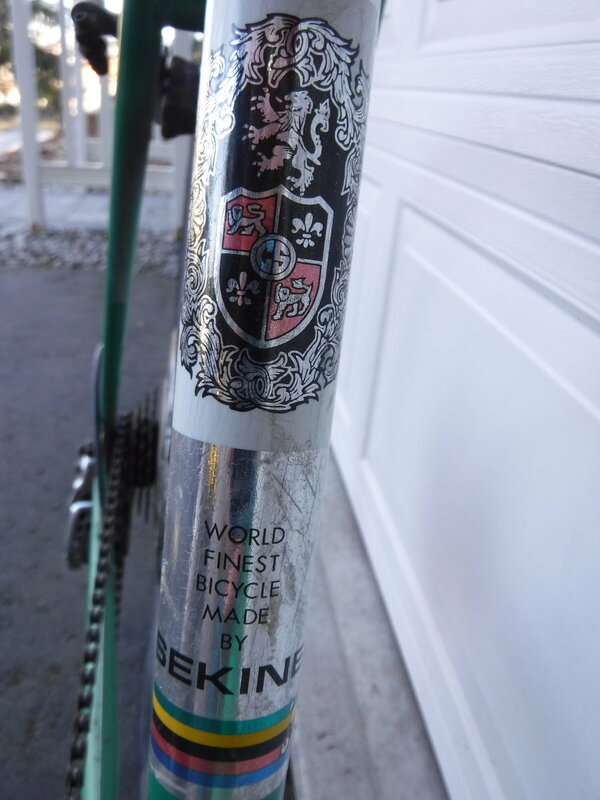 As part of a swap of parts and cash with a friend, this Sekine has came my way yesterday. I seem to be a magnet for the darn things! 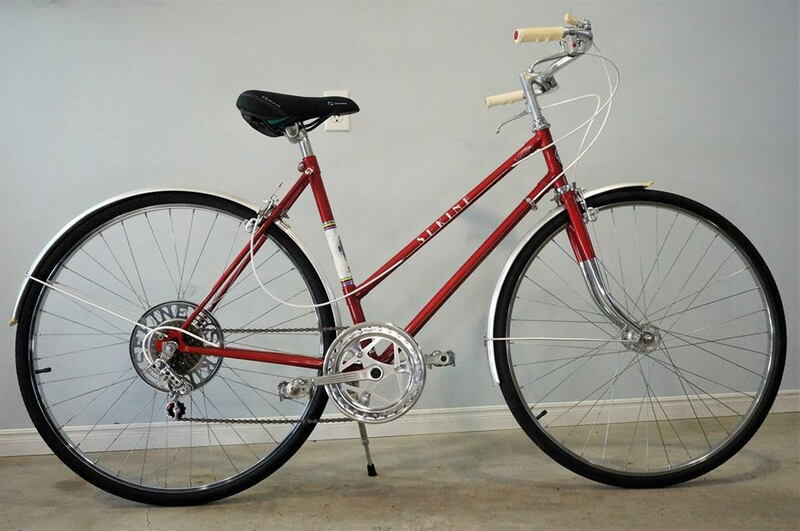 I believe this one may be early seventies by the components and the lack of "Made in Canada" decals. 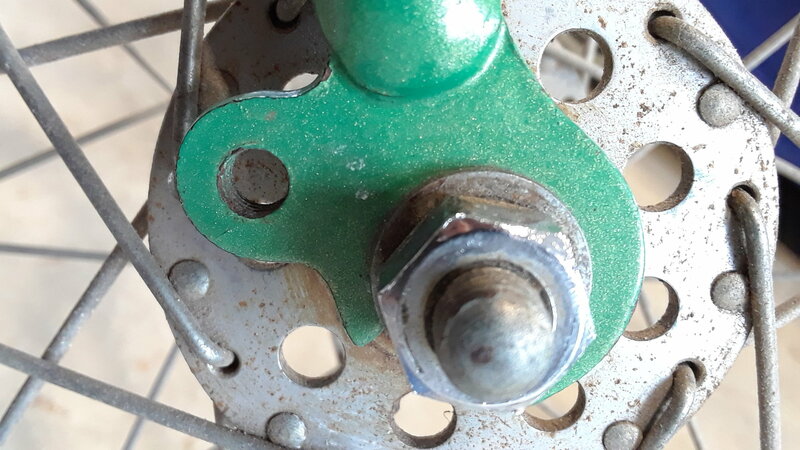 The cranks are what appear to be alloy, yet cottered. 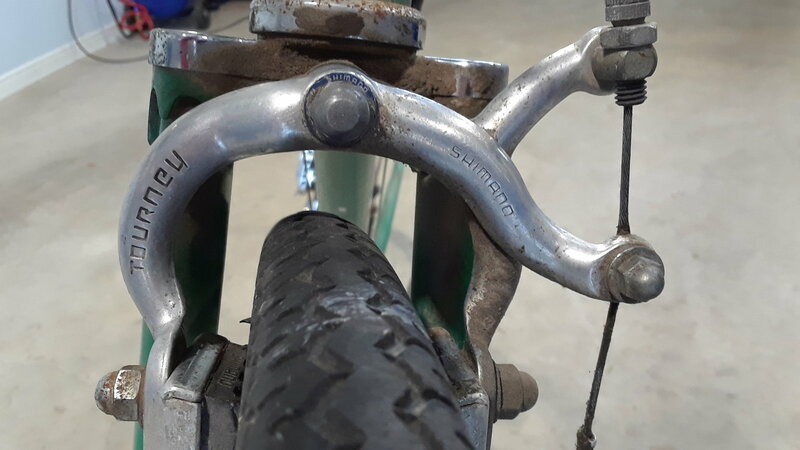 Shimano Eagle II RD. I am putting it away for a future refurbish. 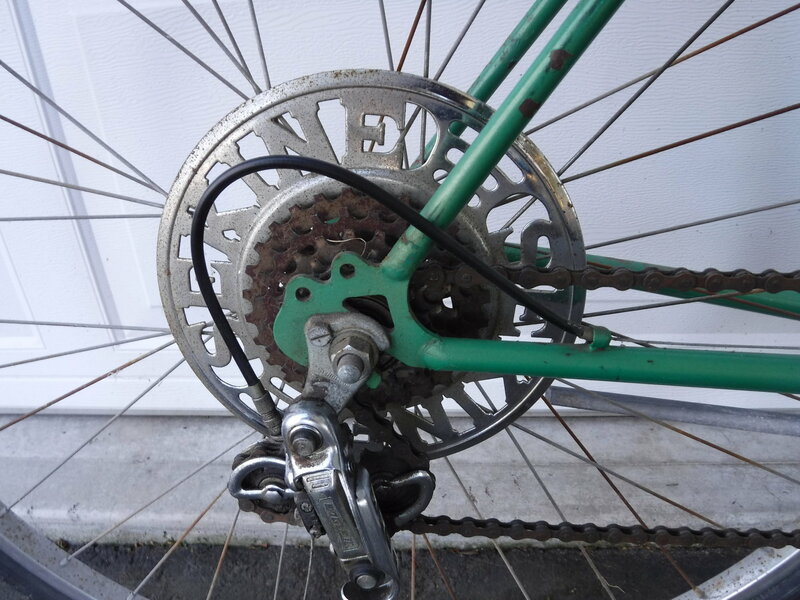 An Eagle II rear derailleur, if OEM, places it no older than the 1977 model year. 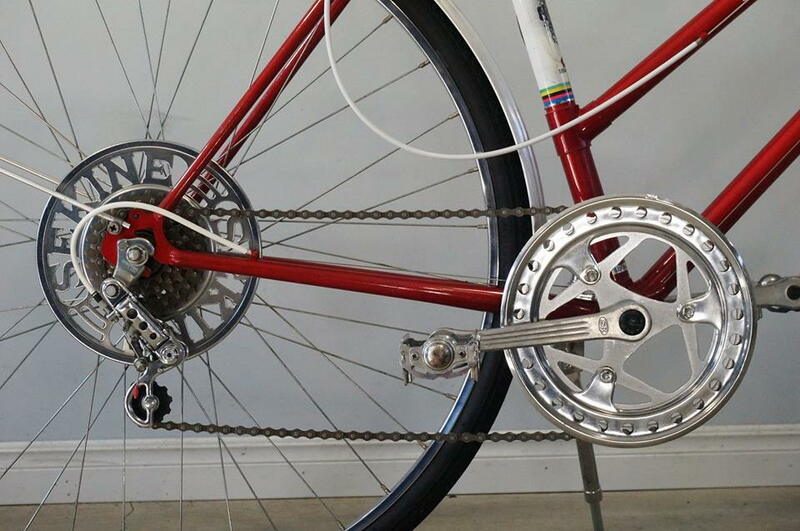 The cottered, aluminum crankset is the SR Grand Silver. 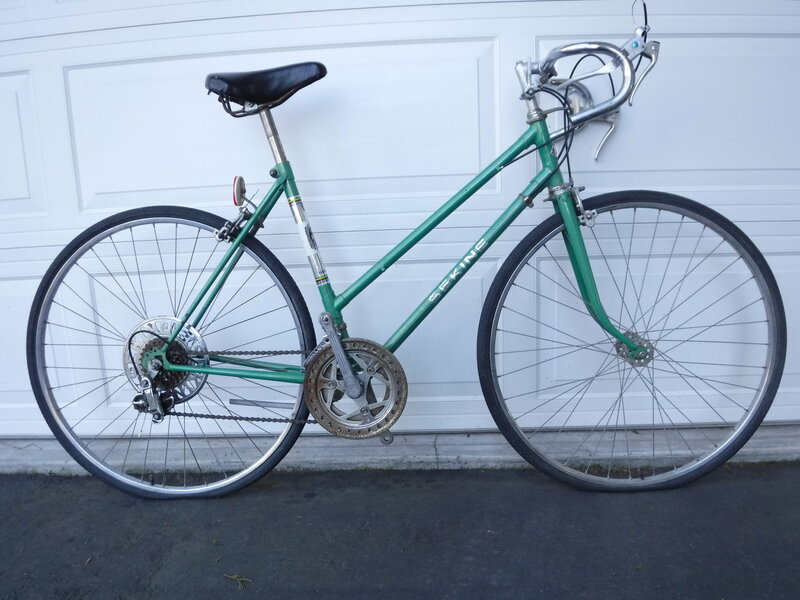 The combination of the two would make this a Sekine SIU 272L. The lack of a Canadian reference does not necessarily make it an earlier model. 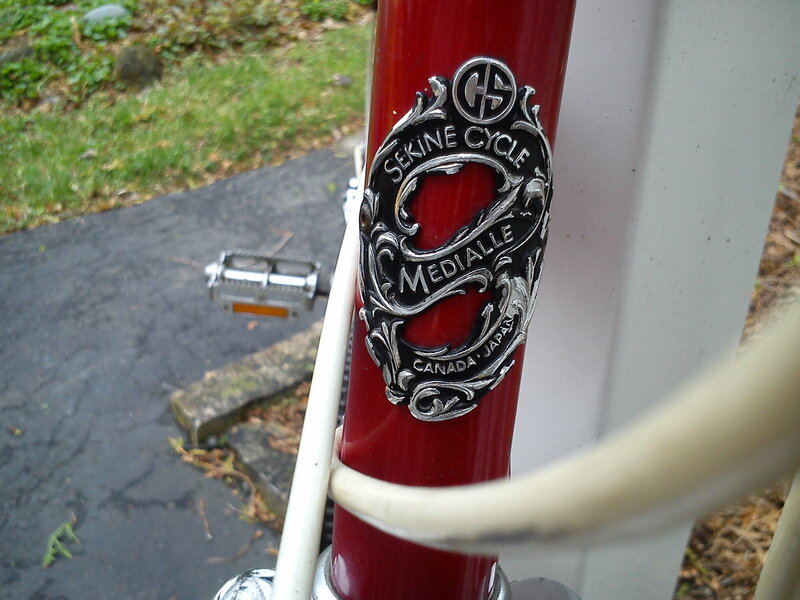 Sekine Canada did not assemble all the Sekine models, only the most popular ones. Even then, they were not capable of keeping up with demand and complete bicycles would sometimes be shipped directly from Japan. Again, I'd appreciate the serial number for my database. TIA. Thanks Tmar! Serial # and brake model headed your way. Just need to find a new home for this beautiful lady. Thxs! 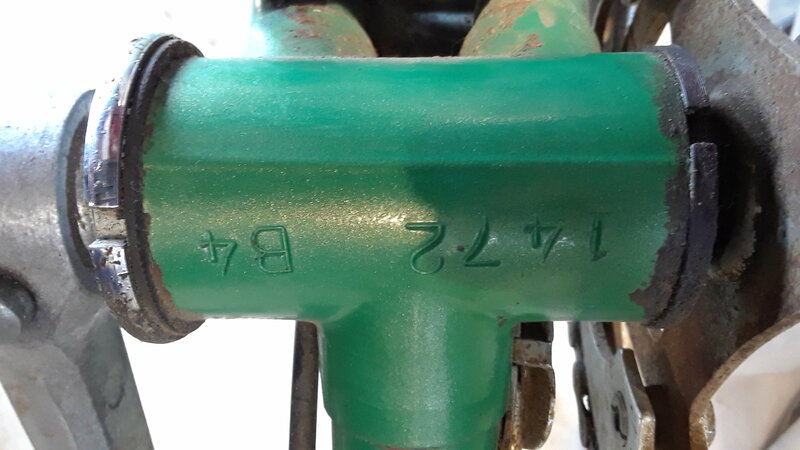 As I said previously, there's some disagreement over the Sekine serial number.codes. This one would indicate April 1976 or April 1977. However, I've got a 1977 Shimano catalog stating the Eagle II was "NEW" that year, so it would appear that you do have a 1977 model. 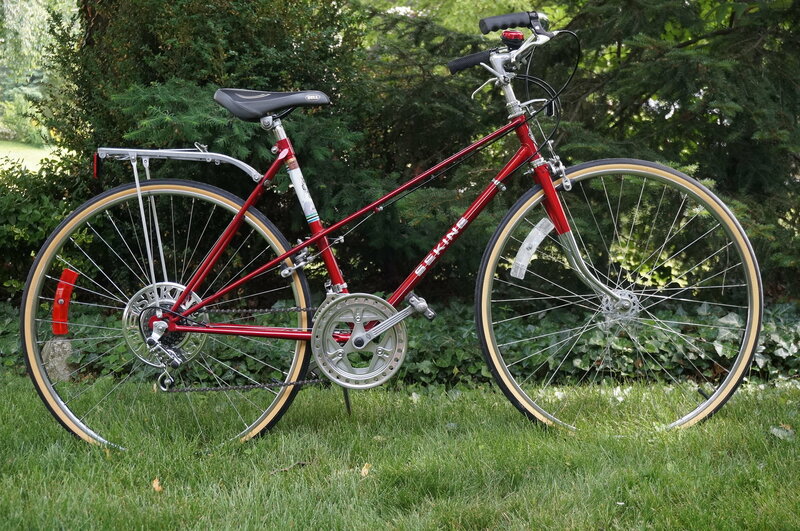 Edit: I forgot to mention that it's missing the OEM fenders (and obviously the pedals and bar tape). Last edited by T-Mar; 03-20-19 at 11:56 AM. I have the original pedals, the weighted OSAMA type. I remove them to carry bikes in my camper van. Really saves the interior. 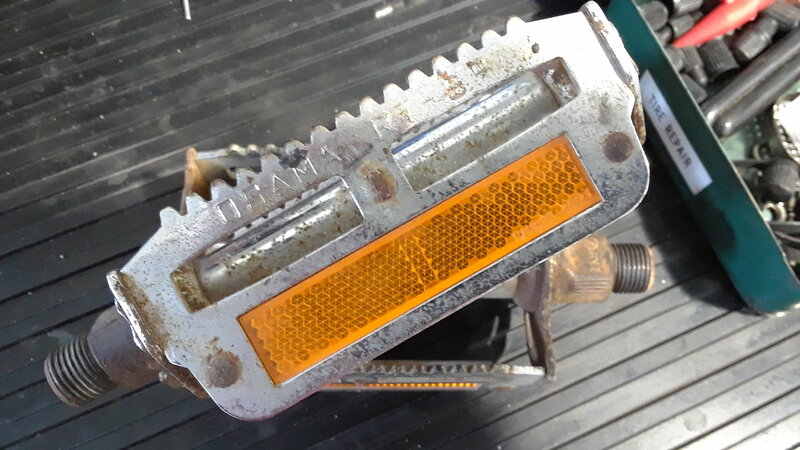 As for fenders there is no evidence that screws have ever been in any of the fender/rack tabs. 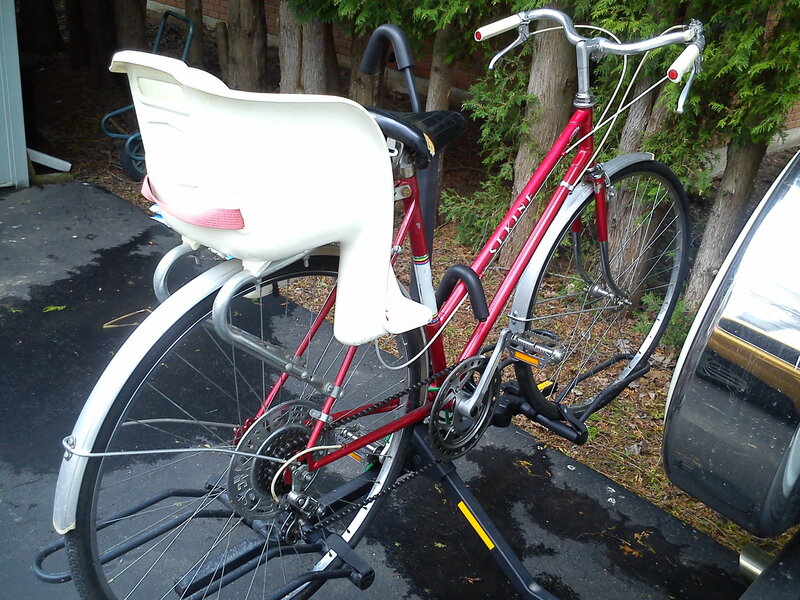 I found this same situation with a SHL mixte I rebuilt a number of years ago. 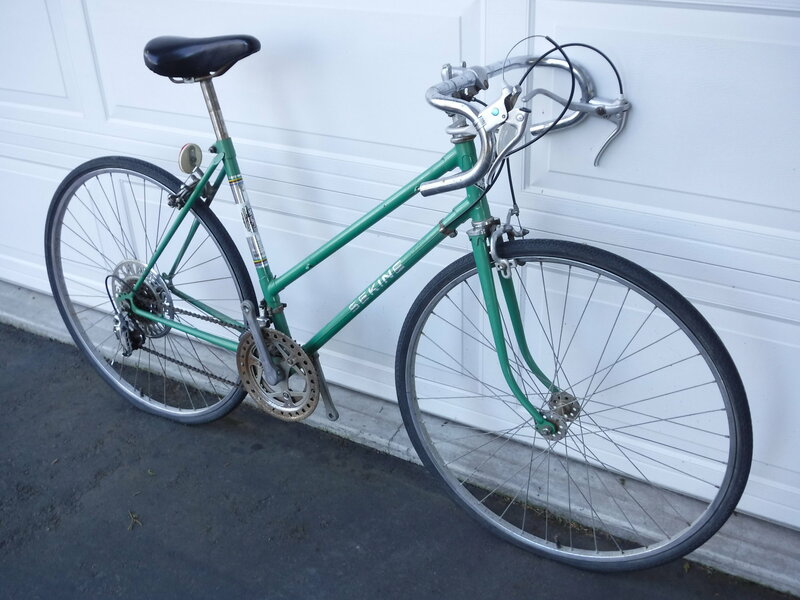 I got it from the daughter of the original owner who had the bars and brakes changed to upright by the shop, but also never had fenders.